1 A Pro-Russian rebel checks the car of a local citizen. 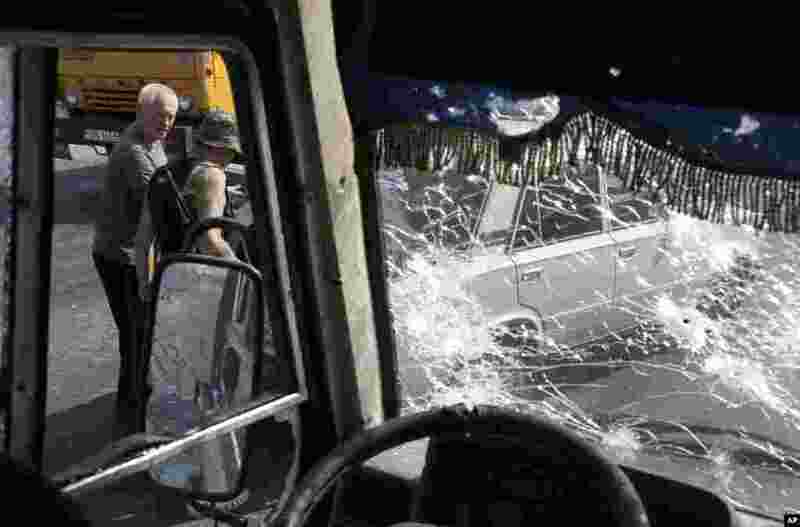 It was here that at least 12 militiamen fighting alongside government troops against pro-Russian separatist rebels were killed in an ambush, on the outskirts of Donetsk, eastern Ukraine, Aug. 13, 2014. 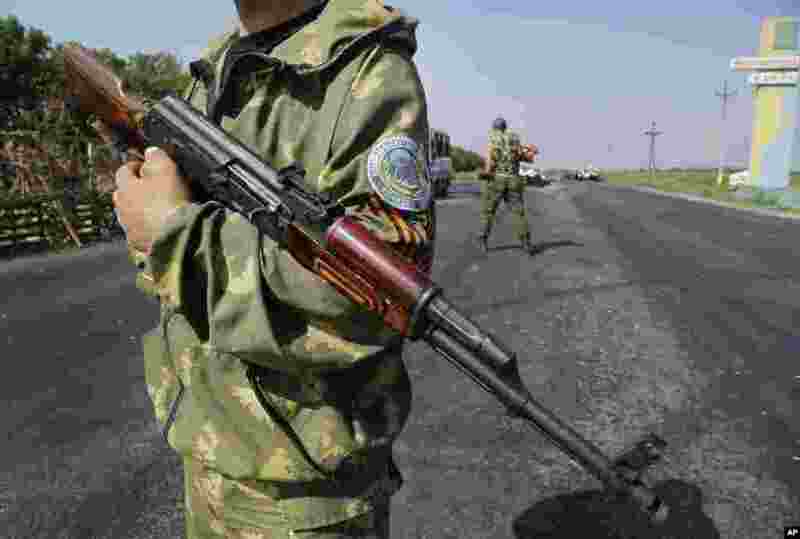 2 Pro-Russian rebels stand at a security post where at least 12 militiamen fighting alongside government troops against pro-Russian separatist rebels in eastern Ukraine have been killed, on the outskirts of Donetsk, eastern Ukraine, Aug. 13, 2014. 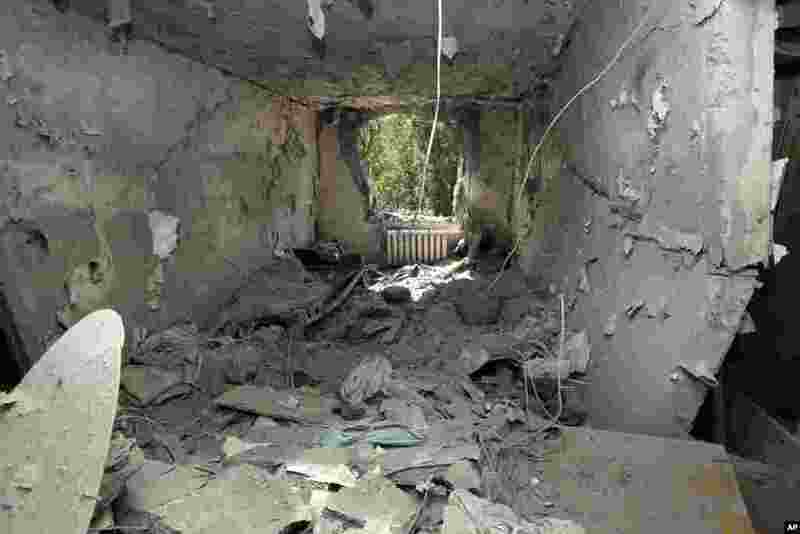 3 A damaged apartment is seen after shelling in Donetsk, eastern Ukraine, Aug. 13, 2014. 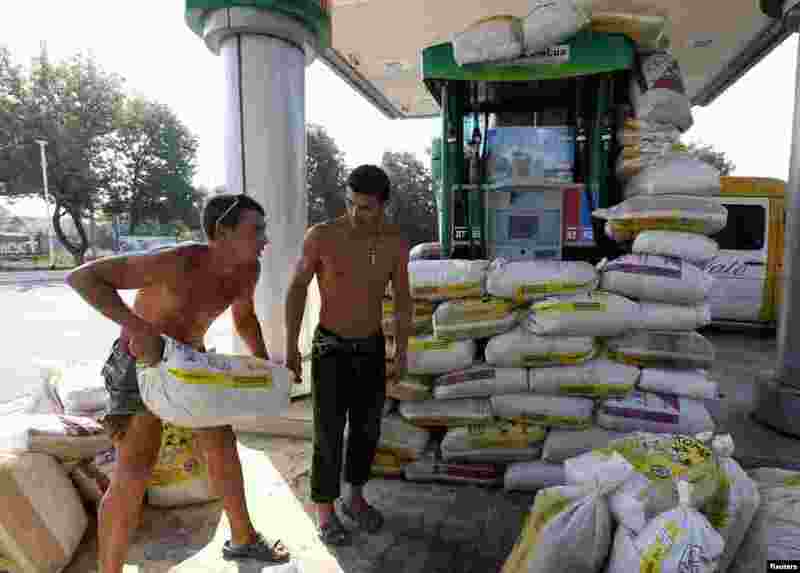 4 Men reinforce a petrol station with sacks of sand in Donetsk, Aug. 13, 2014.